Paypal has once more shown that they are security challenged. They have a password retrieval system for two situations: 1. You forget your password 2. Someone else wants to access your account so they say they are you and have forgotten their password. There is no reason for you to ever forget your password. You should have your passwords in a password safe program and it should be backed up. If you are losing it, then give the password for your password safe to a friend. But, practically speaking, people call Paypal all the time and claim to be the person who owns the account and claim to have lost their password. So, how does Paypal verify your identity? Obviously, the first three make it very easy for someone to access your Paypal account. So you must change whatever they selected for you to a Customer Service PIN. Here is what you do. 1. Login to your account and select Profile from the menu. 2. 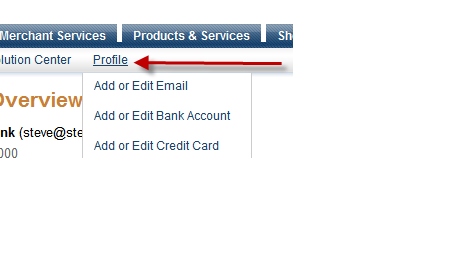 Under Account Information there is a link to Identification Preferences. Change this. The top one is customer service PIN, which will be greyed out because you don't have one. Click Create and make one. Then choose this method.